The world of loyalty is remaining quiet this month but that is typical for August and summer in general. Watch for lots of news, program changes, enhancements and devaluations to come this September. The good news is that bonus offers never stop and we have two really good new offers to tell you about today. 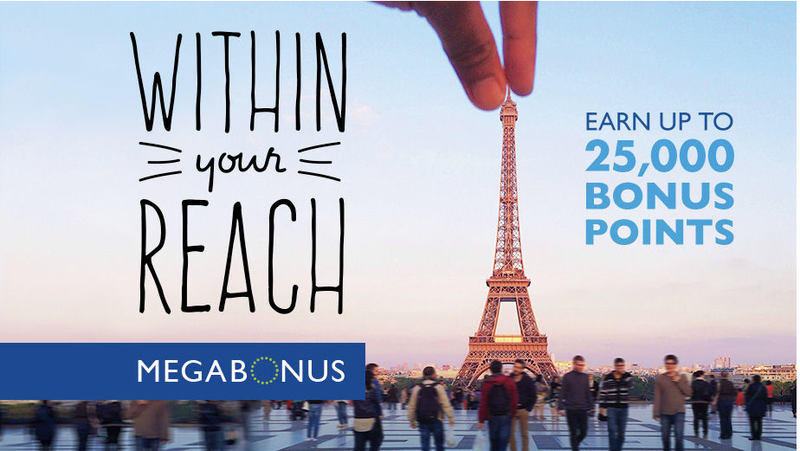 Marriott Rewards has decided to return to its roots as their next systemwide promotion is once again called MegaBonus instead of the Getaway Bonus as the previous iteration was called. No matter what the name is the bonus is essentially the same and just like the previous Getaway Bonus offer there aren't any free night certificate options only bonus points. The offer is definitely weaker without the free nights option that we used to see as you typically would get a free night at either a Cat 1-4 or Cat 1-5 hotel after only two stays. It was a great reward that was easily achievable. Nonetheless bonus points are a still very valuable but it will take you more stays to get to the equivalent free night. It is a somewhat surprising move as the Free Night offer provides a higher percentage of breakage versus the bonus point offers. The other big bonus comes to us from SAS EuroBonus and it is to celebrate their new all business class Stavanger to Houston flight. 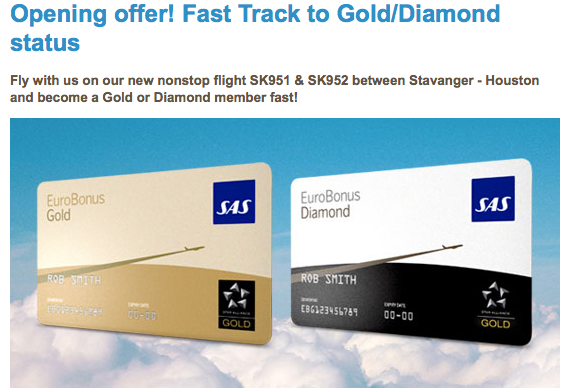 The offer provides Gold Elite status after one round trip on the new route and Diamond Status after two trips. Granted I don't think too many of us Canucks will jump on this but then again if you aren't going to reach status with Air Canada or other Star Aliiance members it might be worthwhile to jump on a cheap flight or a North American award to ticket to Houston to get yourself status via the new SAS flight.